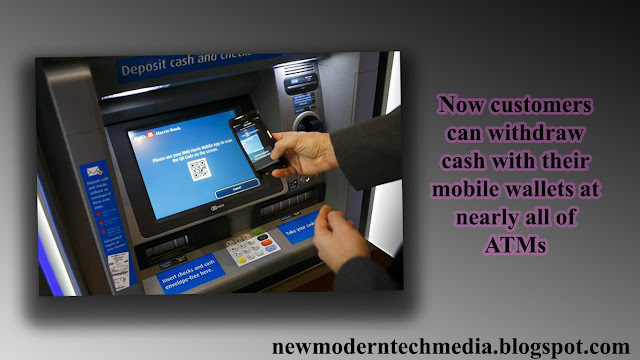 from now anwards we dont need to carrie our ATM cards with us, we can easily withdraw the money through our mobile wallets. eligible mobile wallets including Apple Pay, Google Pay and Samsung Pay. At the ATM, cardless customers will open their mobile wallets and select an eligible card before tapping their phones on the cardless ATM symbol. It will noted some mobile wallets may prompt users to authenticate the transaction using an additional security feature like a fingerprint, passcode . Once the ATM has identified the eligible card, it will ask the customer to enter the PIN associated with the card, and they can proceed as usual. this feature is already launched in foreign countries like australia, USA. it will take up to 3 to 4 years to integrade service in india.